You will enjoy some of the most delicious hot and cold sandwiches made by hand at T & D Sandwich. Sandwiches, coffee and pho fried rice! There’s nothing quite like a satisfying lunch. Whether you’re relaxing on your day off, hoping to power up before the gym, or need that extra boost to get through the rest of your work day, a filling and tasty lunch can do wonders for the rest of your day. Rather than breaking into last night’s leftovers or indulging in way too many calories at a fast food restaurant, stop in to T & D Sandwich for lunch and check out our amazing selection of sandwiches, soups, and smoothies. Everything here is completely homemade and fresh! It’s a fact: We are the best! At T & D Sandwich, we offer you a variety of completely fresh sandwiches. We have the most delicious deli meats, salads, and toppings to create any kind of scrumptious sandwich you could possibly want. We use only the best bread available. Here, every sandwich is a complete work of art that you can’t wait to sink your teeth into! When you’re looking for something a little lighter that will still fill you up, look no further than our warm soups. These homemade masterpieces are perfect for a cold day. With all of your favorite recipes, you’re going to want to dive right into a bowl. 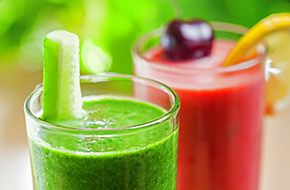 At T & D Sandwich, we know that looking fit is important to many people, so we are committed to helping people stay healthy with our delicious smoothie and juice bar. We offer delicious, low calorie smoothies that are perfect for picking you up before or after any workout. With all kinds of different flavors, we know that once you try one of our smoothies, you’re never going to want a milkshake again. Once you discover T & D Sandwich, you’re going to want to visit us every single day. Stop by in Fremont, CA, today for sandwiches coffee pho fried rice and more!